Jeff For Banks: Bankers: Is your strategy the same as your competitor? Bankers: Is your strategy the same as your competitor? 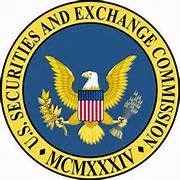 It is annual report season, meaning publicly traded financial institutions are finalizing their 2013 numbers and submitting their 10k's to the Securities and Exchange Commission (SEC). In preparation for meetings, I frequently read 10k's. If you haven't read a 10k, it will win no literary awards, especially for originality. This was abundantly clear while I was reading a 10k and forgot the bank. Don't believe me? Give it a try. Two sections of the 10k I scroll to is the "Business" section and the "Business Strategy" section. This, one would think, would give me a feel of the bank's differentiation strategy, it's perceived competitive advantage, if you will. 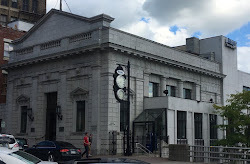 "The Bank is a full-service commercial bank offering a broad range of commercial and consumer banking services to small- to medium-sized businesses, single-family residential and commercial contractors and consumers. Lending services include commercial loans to small to medium-sized businesses and professional concerns as well as consumers. The Bank offers a wide range of deposit services including demand deposits, regular savings accounts, money market accounts, individual retirement accounts, and certificates of deposit with fixed rates and a range of maturity options. The Bank also offers wealth management and trust services. These services are provided through a variety of delivery systems including automated teller machines, private banking, telephone banking and Internet banking. We believe we can effectively compete as a community bank in our market area and the niche markets we serve. We focus our marketing efforts in three areas. We serve our local geographic market which is the Dallas - Fort Worth metropolitan area. We serve the dental and other health professional industries through a centralized loan and deposit platform that operates out of our main office in Dallas, Texas and serves clients in 30 states. Since the fourth quarter, 2012, we have expanded to serve the small business community by offering loans guaranteed by the Small Business Administration as well as the U.S. Department of Agriculture. We are registered in Colorado and Oregon as a lender and our employees maintain home offices in those states from which we originate and underwrite those loans. We anticipate that these loans will also be originated nationwide. We offer a broad range of commercial and consumer banking services primarily to small to medium-sized businesses and their employees. Because our of technological capabilities, including worldwide free ATM withdrawals, sophisticated on-line banking capabilities, electronic funds transfer capabilities, and economical remote deposit solutions, we believe we can be the primary bank for most customers no matter where they are located. We believe that meeting the needs of our customers and making their banking experience more efficient leads to increased customer loyalty. In addition to our traditional banking services, we offer trust services to individuals and benefit plans. We are able to utilize relatively low cost deposits provided by our trust activities to fund additional loan growth. The amount of deposits available to us while maintaining full FDIC insurance protection for our trust customers has consistently exceeded $30 million for the last three years. We anticipate the trust custodial deposits to be relatively low cost and comparable to the rate we pay non-trust customers on money market account balances. • maintain strong asset quality." "We serve the needs of commercial businesses and successful professionals and entrepreneurs located in Texas as well as operate several lines of business serving a regional or national clientele of commercial borrowers. We are primarily a secured lender, with our greatest concentration of loans in Texas. We have benefitted from the Texas economy since our inception, producing strong loan growth and favorable loss experience amidst the challenging environment for banking nationally. •Extending our reach within our target markets of Austin, Dallas, Fort Worth, Houston and San Antonio through service innovation and service excellence." "Prosperity Bancshares, Inc.®, a Texas corporation (the “Company”), was formed in 1983 as a vehicle to acquire the former Allied Bank in Edna, Texas which was chartered in 1949 as The First National Bank of Edna and is now known as Prosperity Bank. The Company is a registered financial holding company that derives substantially all of its revenues and income from the operation of its bank subsidiary, Prosperity Bank® (“Prosperity Bank®” or the “Bank”). The Bank provides a wide array of financial products and services to small and medium-sized businesses and consumers. As of December 31, 2013, the Bank operated 238 full service banking locations; 63 in the Houston area, including The Woodlands; 26 in the South Texas area, including Corpus Christi and Victoria; 35 in the Dallas/Fort Worth area; 22 in the East Texas area; 36 in the Central Texas area, including Austin and San Antonio; 34 in the West Texas area, including Lubbock, Midland-Odessa and Abilene; 16 in the Bryan/College Station area and 6 in the Central Oklahoma area. The Company’s headquarters are located at Prosperity Bank Plaza, 4295 San Felipe in Houston, Texas and its telephone number is (713) 693-9300. The Company’s website address is www.prosperitybankusa.com. The Company’s market consists of the communities served by its banking centers. The diverse nature of the economies in each local market served by the Company provides the Company with a varied customer base and allows the Company to spread its lending risk throughout a number of different industries including professional service firms and their principals, manufacturing, tourism, recreation, petrochemicals, farming and ranching. The Company’s market areas outside of Houston, Dallas, Corpus Christi, San Antonio, Austin and Central Oklahoma are dominated by either small community banks or branches of large regional banks. Management believes that the Company, as one of the few mid-sized financial institutions that combines responsive community banking with the sophistication of a regional bank holding company, has a competitive advantage in its market areas and excellent growth opportunities through acquisitions, including acquisitions of failed financial institutions, new banking center locations and additional business development. Operating under a community banking philosophy, the Company seeks to develop broad customer relationships based on service and convenience while maintaining its conservative approach to lending and sound asset quality. The Company has grown through a combination of internal growth, the acquisition of community banks and branches of banks and the opening of new banking centers. Utilizing a low cost of funds and employing stringent cost controls, the Company has been profitable in every year of its existence, including the periods of adverse economic conditions in Texas. Continue Community Banking Emphasis. The Company intends to continue operating as a community banking organization focused on meeting the specific needs of consumers and small and medium-sized businesses in its market areas. The Company provides a high degree of responsiveness combined with a wide variety of banking products and services. The Company staffs its banking centers with experienced bankers with lending expertise in the specific industries found in the given community, and gives them authority to make certain pricing and credit decisions, avoiding the bureaucratic structure of larger banks. Expand Market Share Through Internal Growth and a Disciplined Acquisition Strategy. The Company intends to continue seeking opportunities, both inside and outside its existing markets, to expand either by acquiring existing banks or branches of banks, including FDIC assisted purchases, or by establishing new banking centers. All of the Company’s acquisitions have been accretive to earnings within 12 months after acquisition date and generally have supplied the Company with relatively low-cost deposits which have been used to fund the Company’s lending and investing activities. However, the Company makes no guarantee that future acquisitions, if any, will be accretive to earnings within any particular time period. Factors used by the Company to evaluate expansion opportunities include (i) the similarity in management and operating philosophies, (ii) whether the acquisition will be accretive to earnings and enhance shareholder value, (iii) the ability to improve the efficiency ratio through economies of scale, (iv) whether the acquisition will strategically expand the Company’s geographic footprint, and (v) the opportunity to enhance the Company’s market presence in existing market areas. Increase Loan Volume and Diversify Loan Portfolio. While maintaining its conservative approach to lending, the Company has emphasized both new and existing loan products, focusing on managing its commercial real estate and commercial loan portfolios. The Company’s loan portfolio increased $2.60 billion during 2013 of which approximately $2.30 billion represents the remaining balance as of December 31, 2013 of three acquisitions completed during the year. During the one year period from December 31, 2012 to December 31, 2013, the Company’s commercial and industrial loans increased from $771.1 million to $1.28 billion, or 66.0%, and represented 14.9% and 16.5% of the total portfolio, respectively for the same period. Commercial real estate (including multifamily residential) increased from $1.99 billion to $2.75 billion, or 38.3%, and represented 38.5% and 35.2% of the total portfolio, as of December 31, 2012 and 2013, respectively. In addition, the Company targets professional service firms, including legal and medical practices, for both loans secured by owner-occupied premises and personal loans to their principals. Maintain Sound Asset Quality. The Company continues to maintain the sound asset quality that has been representative of its historical loan portfolio. As the Company continues to diversify and increase its lending activities and acquire loans in acquisitions, it may face higher risks of nonpayment and increased risks in the event of continued economic downturns. The Company intends to continue to employ the strict underwriting guidelines and comprehensive loan review process that have contributed to its low incidence of nonperforming assets and its minimal charge-offs in relation to its size. Continue Focus on Efficiency. The Company plans to maintain its stringent cost control practices and policies. The Company has invested significantly in the infrastructure required to centralize many of its critical operations, such as data processing and loan processing. For its banking centers, which the Company operates as independent profit centers, the Company supplies complete support in the areas of loan review, internal audit, compliance and training. Management believes that this centralized infrastructure can accommodate additional growth while enabling the Company to minimize operational costs through economies of scale." To be fair, I was impressed with T Bancshares' niche (note it is by far the smallest of the three). But if you can cut and paste these sections into your 10k, replacing geographies and bank names with yours, do we really need your bank?